Officials said the ordinances would be up for further discussion and official votes at future Mt. Laurel Township Council meetings. Mt. 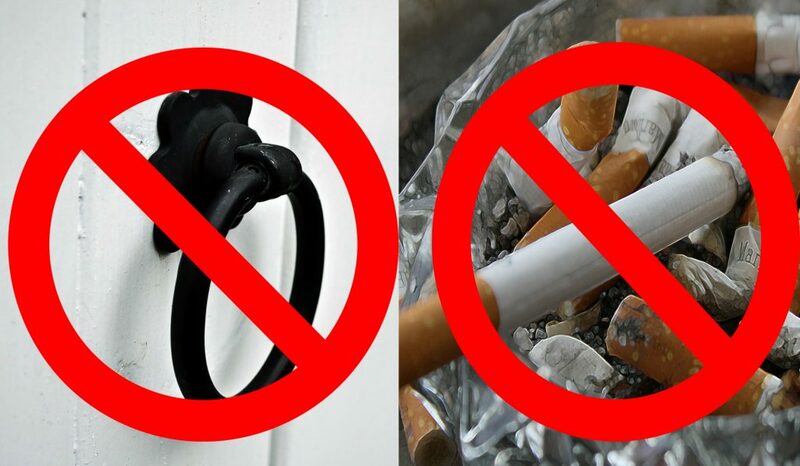 Laurel Township officials are taking steps toward enacting two types of bans in the township – a ban on smoking on public property and a ban on solicitors knocking on the doors of residents who join a special registry with the township. Officials said the ordinances enacting the bans would be up for further discussion and official votes at future meetings of Mt. Laurel Township Council. The potential smoking ban would affect township-owned areas such as buildings, parks, open space lands and any other public property under the control of the municipality. Councilmember Irwin Edelson first raised the issue at the most recent council meeting, as Edelson serves as council’s liaison to the Mt. Laurel Green Team. As outlined by the township’s website, the Green Team works to enact sustainable and environmentally-beneficial programs throughout town. According to Edelson, Mt. Laurel’s Green Team has been pushing for an ordinance to ban smoking at public property throughout Mt. Laurel for several years, and he believes there are already more than 330 of New Jersey’s 565 municipalities with similar bans. Last July also saw Gov. Murphy sign a law banning smoking on public beaches and state parks. “I think it’s time we join the crowd,” Edelson said. Edelson has also asked the township officials tasked with designing the new ordinance to include as many types of smoking as possible, including cigarettes, vaping devices, cigars, pipes and types of smoking related to marijuana. “We’ll look at other towns and what the state has to say about this and ‘plagiarize,’ make our own and make it work for Mt. Laurel,” Edelson said. Similar to other South Jersey municipalities, such as Lumberton Township, Washington Township and neighboring Evesham Township, Mt. Laurel is also looking to instate what’s commonly known as a “No-Knock” ordinance. According to Mt. Laurel Township Manager Meredith Tomczyk, the ordinance would create a township-run registry where residents could register their address, which in turn would legally prevent solicitors from knocking on their doors. Due to First Amendment rules, the registry would not apply to religious organizations or political candidates. If enacted, solicitors would have a list of addresses where they are not allowed to solicit. Once registered with the township, residents would also receive a small sticker or placard of some kind to place in a front-facing window of their home to also alert solicitors the residence in questions does not wish to accept solicitors. “I have received a lot of requests from our senior citizens on this,” Tomczyk said. In addition, township officials also noted that all solicitors active in Mt. Laurel Township are already legally required to first register with the township before engaging in any soliciting activities. With that, solicitors must carry badges approved by the township, and photographs of those solicitors are available on the township’s website at all times for residents to cross check with anyone claiming to be a solicitor in their neighborhood.